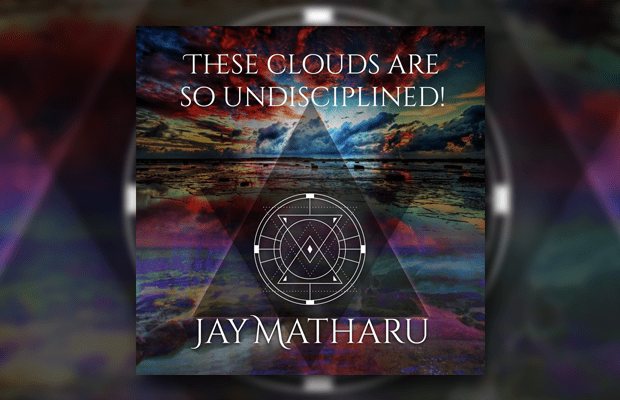 Album Review: Jay Matharu – These Clouds Are So Undisciplined! Like the supercollider, Jay Matharu seeks to smash two dissimilar things together and see what the results are. Naturally, and experiment by mad scientist, composer and guitarist from Uppsala to combine jazz fusion and metal into one would of course create some explosive outcomes. Not to mention some pretty phenomenal musical pieces. These Clouds Are So Undisciplined! is a debut album by Matharu, and it’s here now and ready to take you to unparalleled heights. Look to the skies: that is where Jay is going to take you. For a totally instrumental release, this thing is seven tracks of expansive, experimental and wholly gripping fusion music. Take album opener “Ascent” for a fine example: starting off so minimally, guitars and cymbals meekly registering their presence in the room before their flamboyance bounds forth from them with a burst of self-confidence. If there is one enduring thing to take away from listening to this release, it’s that experimentation is the key to success: be it “Kaleidoscope’s” flowing, flying musical escapology, “A Mother’s Love’s” Holdsworthian chemistry, or “Breathe In, Breath Out’s” otherworldly, ethereal ambience leading to space explorations. Everything on show here is made to play with the musical form and to evoke a response from your mind. And Matharu’s music is what makes you want to explore. My pick would have to be the closing piece “The Battle Within,” clocking in at nine minutes. It’s frantic, for one thing: everyone is really laying down some serious licks on this, striving for the very best in their playing abilities and pulling it off with aplomb. It has to be said that Emil Ingmar contributes piano parts on this song. Masterful work and a treasure for any fan of the indefinable yet oddly marvellous. To say what Matharu and the company have done is prog is inaccurate; to say that it is metal is too vague. Rather, they have thrown into These Clouds Are So Undisciplined! all their passions, excitements and inspirations and cooked up something that is beyond compare. This is music without boundaries, without barricades and without limits. Buy These Clouds Are So Undisciplined! from Bandcamp.